Skype conference with 100 students and members of the community and Simone Liebster. Skype conference with 90 6th-8th grade students and Simone Liebster. Skype conference with 40 10th grade students and Simone Liebster. Skype conference with 207 5th-8th grade students and Simone Liebster. Skype conference with 60 students and Simone Liebster. Skype conference with 150 8th grade students and Simone Liebster. Held at Cesar Camelback High School, the conference theme was “Global Perspectives in Our Changing World.” Exhibitors Renee Ochsner and Kristin Dickman Walter shared curriculum materials from the Arnold-Liebster Foundation website. Arizona Council for the Social Studies includes the Arnold-Liebster Foundation on its Websites of A.C.S.S. Affiliated Organizations & Classroom Resources for teachers and social studies specialists. The Fall 2016 Conference was held at Harper College. Gaye Flowers and Marge Fulton presented a teacher workshop with a Skype interview of Simone Liebster and an exhibit table provided classroom resources. Literacy advocates, educators, and researchers attended the Illinois Reading Council Conference "Reading: Unlocking Opportunities!" at the Peoria Civic Center. 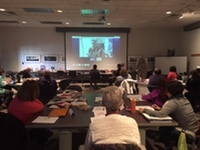 Marge Fulton and Gaye Flowers conducted a workshop highlighting a Skype interview with Simone Arnold Liebster, author of Facing the Lion: Memoirs of a Young Girl in Nazi Europe. An exhibit table provided curriculum resources related to Ms. Liebster and her book. Simone Liebster discussed her book Facing the Lion: Memoirs of a Young Girl in Nazi Europe with 52 members of the community and the Holocaust Center Book Club. Skype conference with 80 students and members of the community and Simone Liebster. Skype conference with 50 students and members of the community and Simone Liebster. 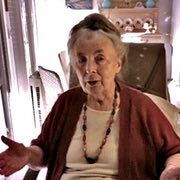 Simone Liebster was the special guest speaker for the monthly series, "I Remember: Eyewitness to the Holocaust." 255 attendees also viewed the traveling exhibits Jehovah's Witnesses—Faith Under Fire and Who Am I? Young Minds Forced to Choose which are on exhibit from June-August at the Holocaust Center. Jehovah's Witnesses—Faith Under Fire is on exhibition from June 1 through August 31.
Who Am I? Young Minds Forced to Choose is on exhibition from June 1 through August 31. Skype conference with 74 10th grade students and Simone Liebster. Skype conference with 26 5th and 6th grade students and Simone Liebster. Skype conference with 27 8th grade students and Simone Liebster. Skype conference with 35 high school students and Simone Liebster. Skype conference with 360 6th grade students and Simone Liebster. Skype conference with 330 8th grade students and Simone Liebster. Skype conference with 122 8th grade students and Simone Liebster. The workshop theme was "Teaching With Primary Sources" and was held at Pekin Library. 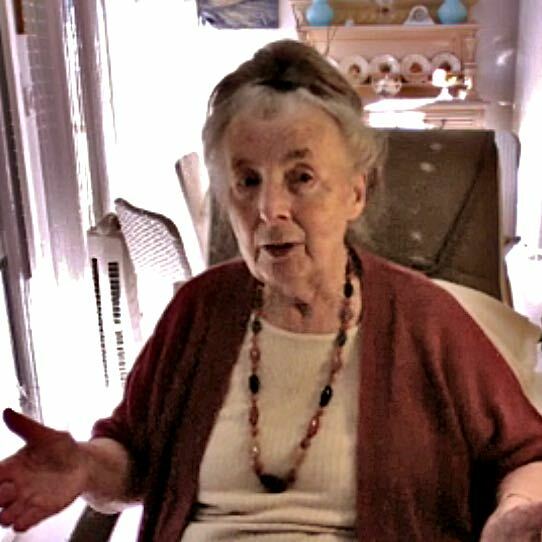 Marge Fulton presented the experience of Jehovah?s Witnesses, which included a Skype interview with Simone Liebster. Skype conference with 22 11th and 12th grade students and Simone Liebster. Skype conference with 48 5th grade students and Simone Liebster. Skype conference with 90 8th grade students and Simone Liebster. Genocide Awareness Week was held on April 11-16. The Arnold-Liebster Foundation presented "Jehovah's Witnesses—Faith Under Fire - Eyewitness Testimony" by Kristin Dickman Walter and Renee Ochsner and focused on an interview with Simone Liebster. 156 attendees visited an exhibit table and viewed the traveling exhibit Jehovah's Witnesses—Faith Under Fire which is on display in the Student Center through April 30. Two Skype conferences with 120 8th grade students and Simone Liebster. Skype conference with 55 9th-12th grade students and Simone Liebster. Jehovah's Witnesses—Faith Under Fire is on exhibition from April 1-30. Skype conference with 13 students and Simone Liebster. Skype conference with 67 7th grade students and Simone Liebster. Skype conference with 70 8th, 10th, and 11th grade students and Simone Liebster. Skype conference with 65 8th grade students and Simone Liebster. The Spring Conference was held at Millikin University. Gaye Flowers presented a teacher workshop featuring a Skype interview with Simone Liebster and an exhibit table provided curriculum resources. This four-day program was held on March 3-6 in Cullowhee, North Carolina. Teachers were helped to focus on the power of individuals' personal stories as an effective vehicle for teaching the Holocaust. Diana Zientek presented the experience of Jehovah's Witnesses, highlighted by a Skype interview with Simone Liebster. 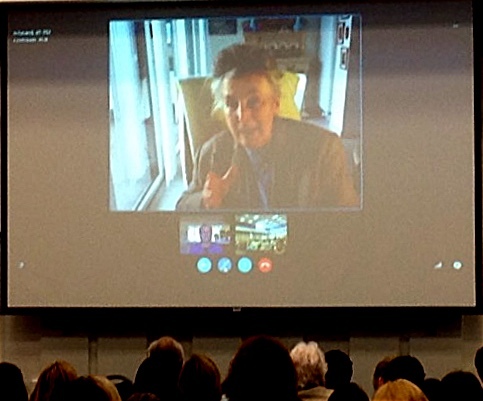 Skype conference with 73 elementary, middle, high school, and college students and Simone Liebster. 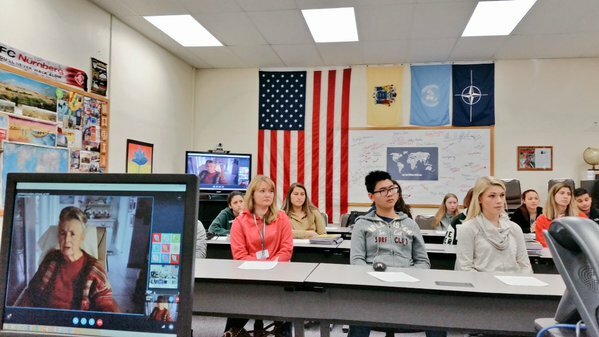 Skype conference with 35 9th-12th grade students and Simone Liebster. Skype conference with 250 6th, 7th, and 8th grade students and Simone Liebster. Skype conference with 90 10th grade students and Simone Liebster. Skype conference with 90 11th grade students and Simone Liebster. Skype conference with 37 high school seniors and Simone Liebster. 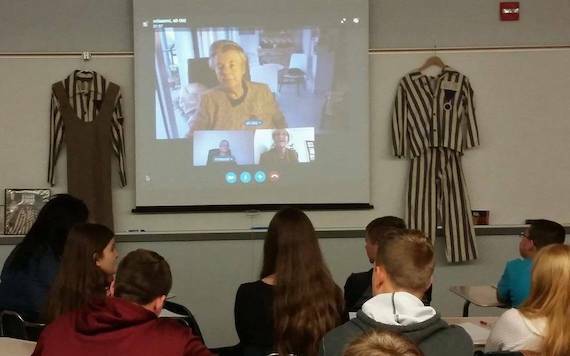 Spoke with Simone Arnold Liebster, author of "Facing the Lion: Memoirs of a Young Girl in Nazi Europe"
Skype conference with 18 middle and high school students and Simone Liebster. "Interview With Simone Liebster About Max Liebster"
Article from Luceafarul published on January 1, 2016. With permission by Tudor Petcu.